This Rada cutlery set was chosen for paring, peeling and slicing. An ideal choice for processing fresh garden veggies. Featuring the stainless steel Paring Knife, Vegetable Peeler, and Tomato Knife. The Paring Knife is small and maneuverable. The Vegetable Peeler slices the skin off cucumbers and potatoes. 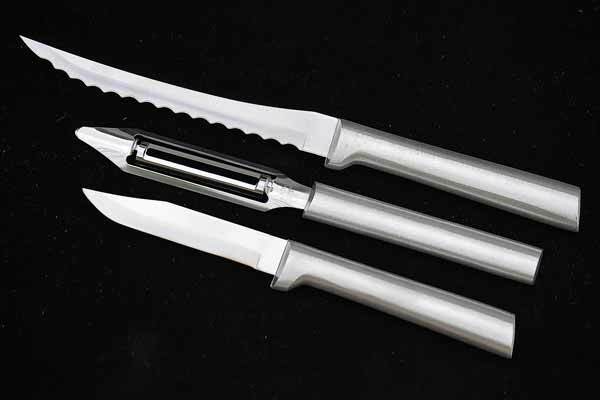 The Tomato Knife is long and serrated for cutting through veggies with tough skins. Lightweight. Comfortable. Long lasting.